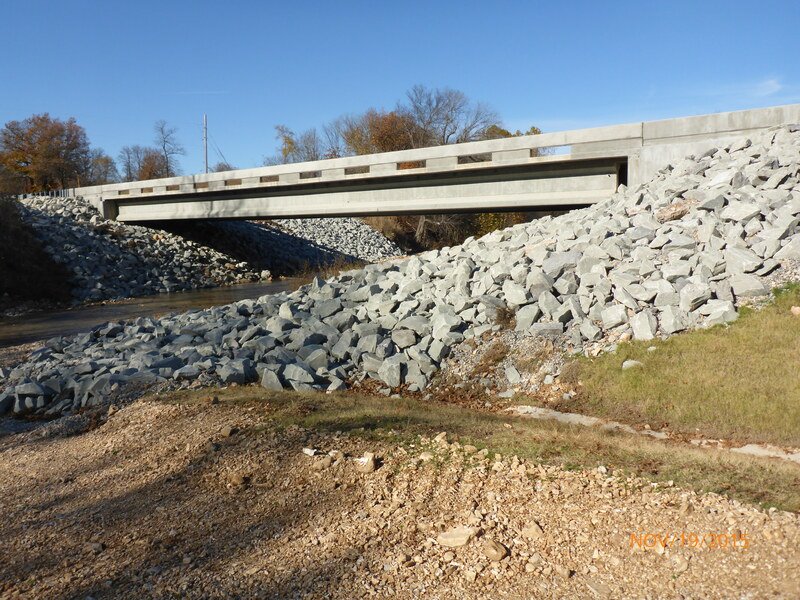 A ribbon cutting was held on March 1, 2016 to celebrate the newly rebuilt Bridge 72 over Wickliffe Creek in Mayes County. 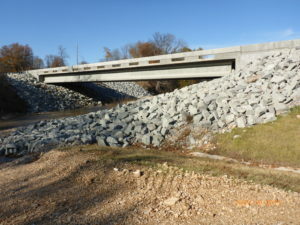 The new bridge is a 120ft single span PC beam bridge offset to the southwest of the existing bridge. The new alignment required meeting an existing superelevated curve and was constrained by the close proximity of a cemetery. 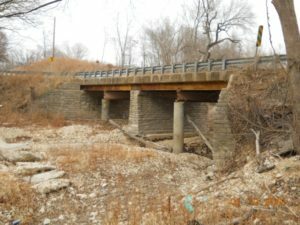 The project also included 0.4 miles of approach roadway on Kenwood Road, as well as a turning lane that was added for a dangerous intersection west of the bridge.